Tired of boring greeting cards? Bring Cake Bot to the party instead! This friendly robot is carrying a cake with “Happy Birthday” written on it. Cake Bot knows not to give away any secrets, so there is just one candle on top. Get yours! 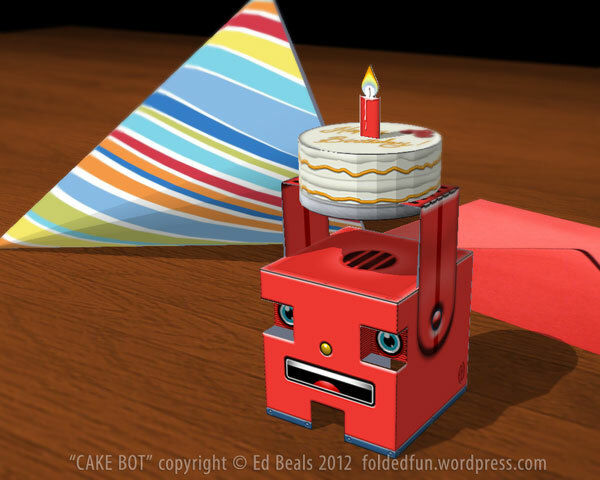 Like the FOLDed Facebook page and send me a photo of your Cake Bot!